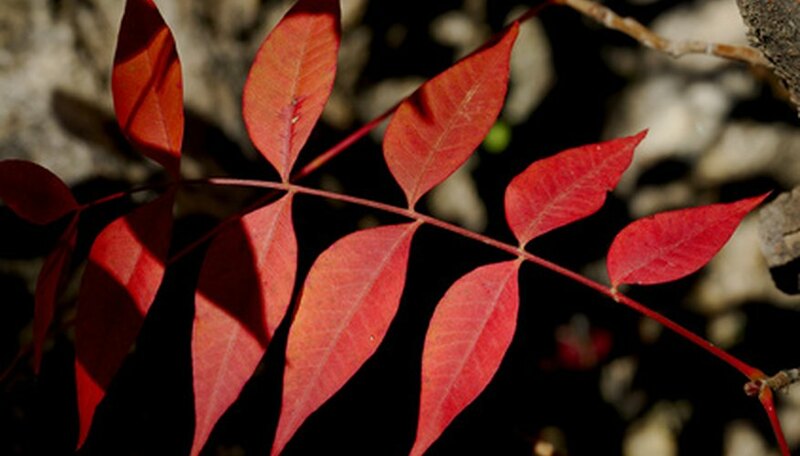 The Chinese pistachio (Pistacia chinensis), also called a pistache, is a lovely tree that grows 30 to 40 feet tall. Since it is drought-tolerant, it is ideal for those hot, dry areas of the landscape. Another bonus is that the Chinese pistachio is resistant to insects and disease. Chinese pistachio, hardy to United States Department of Agriculture hardiness zones 6b through 11, should be grown in full sun. The tree is a challenge to propagate by cuttings, so is generally propagated by seed. Seeds can be purchased online or at large garden centers. Pour warm water into a thermos and add the pistachio seeds. Close the thermos and allow the seeds to soak for three days. Remove the seeds and set them on a paper towel. Combine equal parts of peat moss and vermiculite. Moisten the mixture and allow it to drain. Pour it into a plastic bag and push the pistachio seeds into it until they are completely enveloped. Seal the plastic bag and place it in the refrigerator for 45 days. Pour equal amounts of peat moss and vermiculite into planting pots and water it until the water drains from the bottom. Push the pistachio seeds 1 inch deep into the soil and cover them with soil. Place the pots on a heat mat, set at 80 degrees F. Provide bright light, but not direct sun, and spray the soil with water from a misting bottle to keep it moist until the seeds germinate. Germination times are variable. Grow the seedlings in light shade and transplant them into 1-gallon containers when you see roots at the bottom of the pots. Use the same soil mixture and water the seedlings when the top inch of soil is dry.